I am the senior managing director for six Colliers offices in the Greater Los Angeles region including - South Bay, West Los Angeles, Commerce, Encino, Valencia and Glendale. My goal is to attract the best and brightest to our team, and to offer our professionals guidance and support to help them make the most of their careers. Hard work is key, but so is transparency. Great brokers position themselves as trusted advisors who put client interests before their own. I joined Colliers in March 2018 after a career that has found me on all sides of the business, from development to brokerage to in-house leasing for an institutional owner. Most recently, I served as vice president of leasing for Brookfield Properties, where I was responsible for a portfolio of 8.3 million square feet across seven Class A office buildings in downtown Los Angeles. Before that I represented large corporate users and institutional investors in lease transactions as a senior vice president for JLL. I got my start in commercial real estate in 1999 as a leasing manager with Catellus Development Corporation, where I was responsible for the marketing and leasing of development projects in Los Angeles and San Francisco. Before joining the industry, I began my career as a lawyer with Haight Brown & Bonesteel, where I practiced commercial litigation. 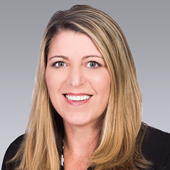 Michelle’s background includes a long history with Colliers International. Santone joined the firm in 1994 as an Administrative Assistant, eventually being promoted to Administrative Manager. She functioned in the capacity of Administrative Manager until 2001, at which time she accepted a Program Manager position with Master Halco. As a Program Manager from 2001 to 2005, Santone worked directly with the buying teams of several of the large homebuilder stores, such as Home Depot, Lowe’s, Ace Hardware, providing her with advantageous experience in vendor relations and the process of negotiation. In 2005, Santone rejoined Colliers International in the role of Marketing Specialist for the firm’s to producing broker, Clyde Stauff. In early 2011, Michelle transitioned to the role of Operations Manager for the Downtown LA, Encino, Valencia and Brentwood offices. Santone now serves as the Regional Operations Manager, overseeing the 9 offices in the Greater Los Angeles region.